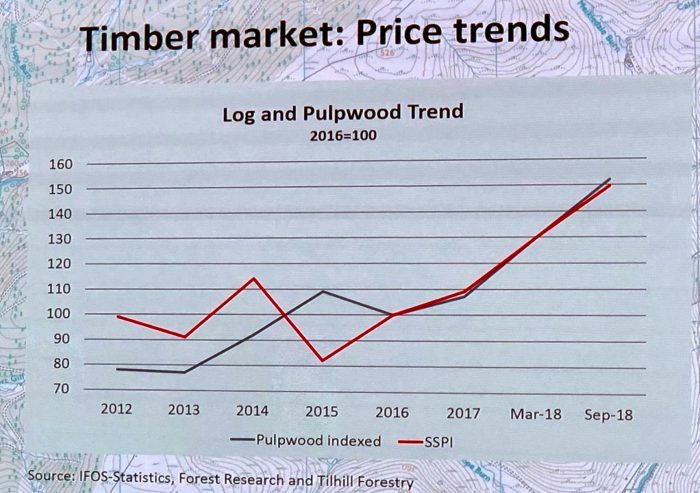 Timber prices last year went up 28%. This is according to the report that John Clegg and Tilhill forestry put together for the year ending September 2018. 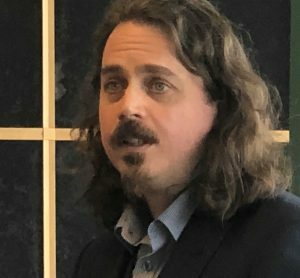 The increase was driven by exchange rate changes and increases in demand for traditional wood-using industries such as sawmilling, board production and biomass for renewable energy. "Virgin wood burnt as biomass accounts for four million tonnes a year now," according to Tilhill's Peter Whitfield. 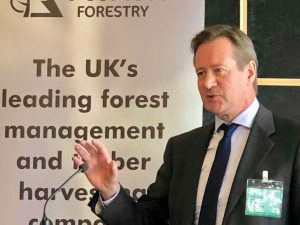 The industry has also been helped by the improvement in timber processing plants such as Norbord in Inverness, James Jones in Lockerbie and British Soft Woods (BSW) at Fort William. A single investment of £95 million by Norbord in 2017 was equivalent to twice the usual annual investment in timber processing plant. 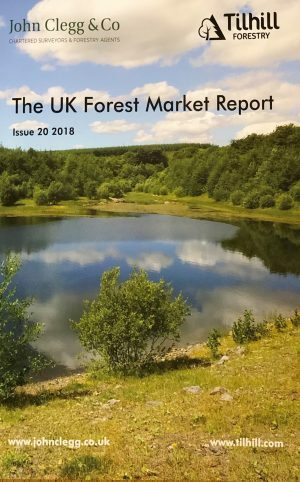 In the commercial forestry sector about three-quarters of sales were above the guide price and about one in seven sold for over 50% of the guide price. But this is for relatively large properties with the average forest property selling for £1.8 million and typically being about 500 acres with predominantly coniferous trees. These commercial forests are mostly in Scotland (69% of the UK market). Presenting this report Stuart Goodall (Confor, Confederation of Forest Industries - jpg left) stressed the encouraging pick-up in new planting, Mike Tustin (Cleggs) described a buoyant market in smaller woodlands and Dan Ridley-Ellis (Edinburgh Napier University - jpg right) explained the strength characteristics of different timbers and really emphasised that for most timber buyers the key issue is always price. What's been happening to Scottish Forestry? Tilhill tell all. WOODLAND TRUST : a leopard changing its spots?